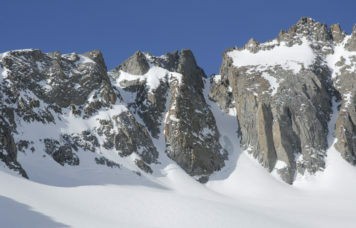 Many peaks in the Sierra contain couloirs that hold permanent snow and ice. 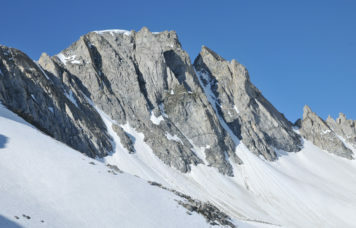 As the summer stretches into August many melt freeze cycles have hardened spring snow creating high quality alpine ice. These climbs range in length, steepness and difficulty and offer something for everybody. 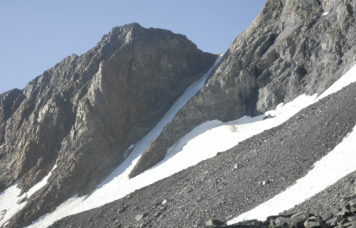 We have been ice climbing since 1987 and are intimately familiar with the many fine gully ice climbs in the Sierra. Listed below are some with scheduled dates and prices based on a minimum of two. All can be booked any time with advanced reservation. See our private rates for custom dates. We also offer most of these routes as early season snow climbs. Listed here are a few of our all time favorites. Get in touch with our office for more specific information about a particular climb. 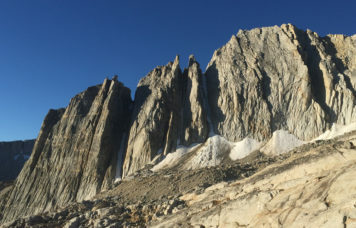 We can lead trips on any of the 70+ alpine ice climbs in the Sierra. If you are interested in a particular climb you don’t see listed contact our office!